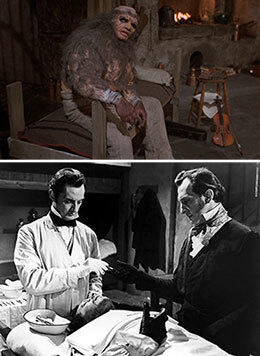 Included in the program are The Curse of Frankenstein (1957); The Revenge of Frankenstein (1958); The Evil of Frankenstein (1964); Frankenstein Created Woman (1967); Frankenstein Must Be Destroyed (1969); The Horror of Frankenstein (1970); Frankenstein and the Monster from Hell (1974). For more information visit moma.org/calendar/film/5010. “Hammer Horror: A Frankenstein Septet” takes place at the Museum of Modern Art and is presented in conjunction with the Morgan’s exhibition It’s Alive! Frankenstein at 200. Frankenstein and the Monster from Hell. 1974. Great Britain. Directed by Terence Fisher.